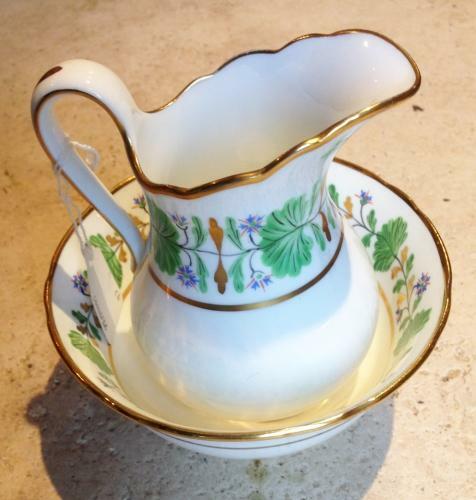 Very pretty small jug and basin, early 1900s with green decoration and gold. Condition excellent. The bowl has a slightly different mark to the jug though everything matches and I think the other is an export mark.